McIlroy said he'd never heard of Valiante but like Pádraig Harrington, he's realised that separating what Kipling called the "twin imposters" of success and failure is the key to mental health in a game where losing is the norm. "When you do win, you're put up on a pedestal and everything is great," Harrington said of winning his first Major. "Nine years ago this month I had the opportunity to sit with winless 20-yr-old @McIlroyRory & talk "patience'," Nicklaus tweeted. "Soon after, he shot a Sunday 62 at @QuailHollow for 1st @PGATOUR win. 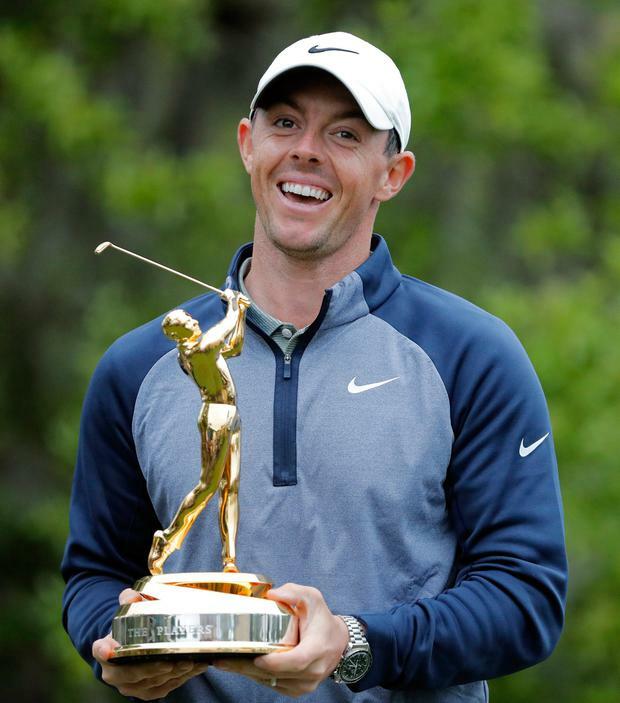 Today Rory showed great discipline & patience down stretch to win @THEPLAYERSChamp! Very proud & happy for him!" So when asked on Sunday if his measured celebration was his way of ensuring that his successes don't define him any more than his failures, McIlroy nodded vigorously in agreement.